These double chocolate-coated biscuits are a simply divine addition to any festive occasion. They will, by the way, keep for a week or more in a airtight container. Whisk together the butter and sugar with the vanilla until creamy. Whisk in the egg. 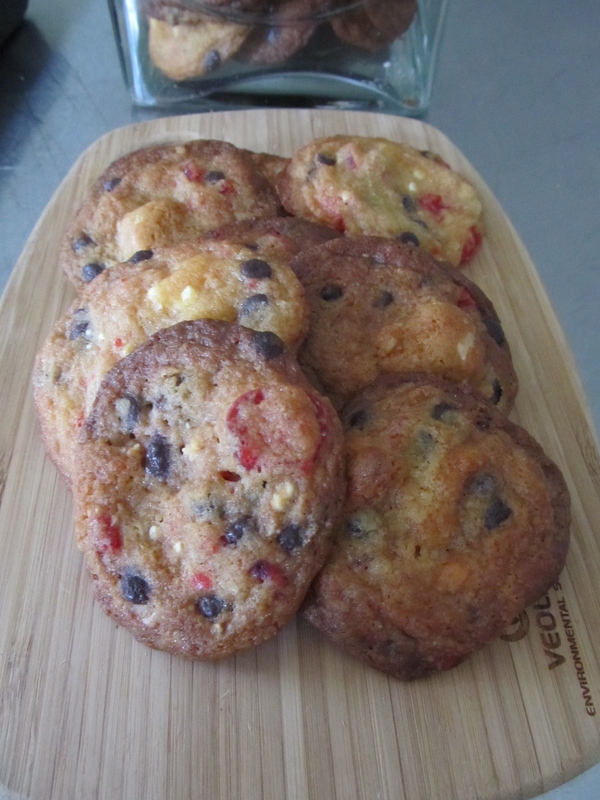 Fold in the flour and fruit mince with a metal spoon, then the cherries, white chocolate and dark choc chips. Leave mixture to stand for 10 minutes, then roll into walnut sized balls and place on baking paper lined trays, allowing room for spreading. Bake at 150 degrees C for 15 minutes or until golden. Remove to a wire rack to cool, then store in an airtight container.